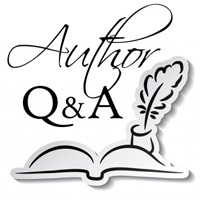 We are delighted to welcome author Julie Weston to Omnimystery News today. Julie's second historical mystery set in 1920's Idaho is Basque Moon (Five Star; August 2016 hardcover and ebook formats) and we recently had the chance to catch up with her to talk more about it. Omnimystery News: Tell us a little more about your series and its characters. Julie Weston: My historical mysteries are set in central Idaho in the 1920s. My primary protagonist is Nellie Burns, a photographer who left Chicago to find her life's work's as an artist, along with Moonshine, a black Labrador dog. She is in the vanguard of women who were beginning to seek employment and look for adventure. Nellie travels to Idaho, a Rocky Mountain state and one of the first states to give women the vote. She begins as an aspiring portrait photographer with some experience and uncertainty about her abilities to get along in the world. She learns about landscape photography and learns she is capable of getting herself out of trouble and helping others to do the same. OMN: When starting a new book, which comes first: the cast of characters or the principal storyline? JW: Neither. It is the setting that sparks the storyline for me and also shapes the characters. I do have a series, and I rely on the setting to help my characters grow and change. My stories are set in the 1920s, a time of rapid change in our country, so the time period also affects the storyline. JW: Because I place my books in Idaho, where I grew up before moving to Seattle, and where I now live, I incorporate stories I have heard and my family's stories for some of the characters and settings. In Moonshadows, set in winter, I was able to call upon some of my own experiences in snowstorms. In Basque Moon, I have hiked in the Stanley Basin, the setting for this book. One of my characters is a one-eyed miner, Rosy (a man). I grew up in a mining town, and I could channel his voice because of knowing many miners when I was young. The boarding house landlady is based upon an actual character in my home town. Nellie and Rosy go into a mine in Moonshadows, and their experience is directly related to my own visit down a mine in North Idaho. JW: Idaho has been the subject of my writing for some time. I am the fifth generation of my family to live here. My mother and grandmother were both born in Idaho. I have felt as if I know Idaho pretty well, even though I spent many years practicing law in Seattle. I have read many books about Idaho, including one written by my great aunt and published by Caxton Press many years ago. My great-grandfather worked in the mines around Ketchum, Idaho, the central setting for Moonshadows, and he and my great-grandmother honeymooned there in the late 1800s. I use The Community Library in Ketchum, which has an extensive regional history collection as well as newspapers published over 100 years. Photographs are available as well. For the photography in my book, my husband is my expert and reads — and corrects — all of my descriptions of photography by Nellie. I have used the internet for research on opium, moonshining, clothes, transportation. I also refer to books about the area written by locals, both historical and current. Some of the most interesting aspects we researched were photographs at night with a full moon. The cover of Moonshadows is a photograph taken by my husband at night, which my publisher, Five Star Publishing, was happy to use. This is also true of the cover for Basque Moon. OMN: You mentioned how important setting is to your books. How true are you to the setting? JW: My stories are set in central Idaho around Hailey and Ketchum (years before Sun Valley was planned as a resort) and in the Stanley Basin. My next story is set in Craters of the Moon. In general, I am true to the geography and local environment, but I have made changes to suit the logistics of the stories. For instance, in Moonshadows, Last Chance Ranch is a real place, but I changed the ranch house quite a bit and moved it farther from both the Big Wood River and from Ketchum than it really sits. In Basque Moon, I fictionalized some of the settings, especially for the moonshine camp, but the story is generally true to the environs of 4th of July Creek, Road and Lake. The settings push the plot along, in each case. JW: Like many other women writers, I read Nancy Drew books and other mysteries when I was young. However, I didn't begin to write mysteries until after many years of practicing law. I now read all kinds of stories, but I am still inclined to read mysteries more than other genres. Some of my favorite authors have been Agatha Christie, Ngaio Marsh and Dorothy Sayers. These days, I am partial to Jaqueline Winspear, Louise Penny, Alan Furst, Ridley Pearson, Molly Gloss, Ivan Doig, Craig Johnson, Donna Leon, and Anne Hillerman. JW: I am working on another Nellie Burns and Moonshine mystery. This one is set in Craters of the Moon, not yet a national monument in 1923 when Nellie is pulled into another murder situation, along with Sheriff Azgo and Rosy Kipling, the miner. Lava caves, religious cults, stalactites, wild animals, and, of course, photographs, figure into this plot. Julie Weston grew up in Idaho and practiced law for many years in Seattle, Washington. Her mystery series is set in Idaho in the 1920s and features Nellie Burns, photographer, and her dog, Moonshine. Her short stories and essays have been published in IDAHO Magazine, The Threepenny Review, River Styx, and other journals. She and her husband now live in central Idaho where they ski, write, photograph, and enjoy the outdoors. For more information about the author, please visit her website at JulieWeston.com or find her on Facebook.